I've been in Cincinnati the past week on some family business that's not exactly super fun. I haven't had much time to take photos of my hometown but have managed to squeeze in a few minutes here and there while running around town. Cincy is known for its chili. 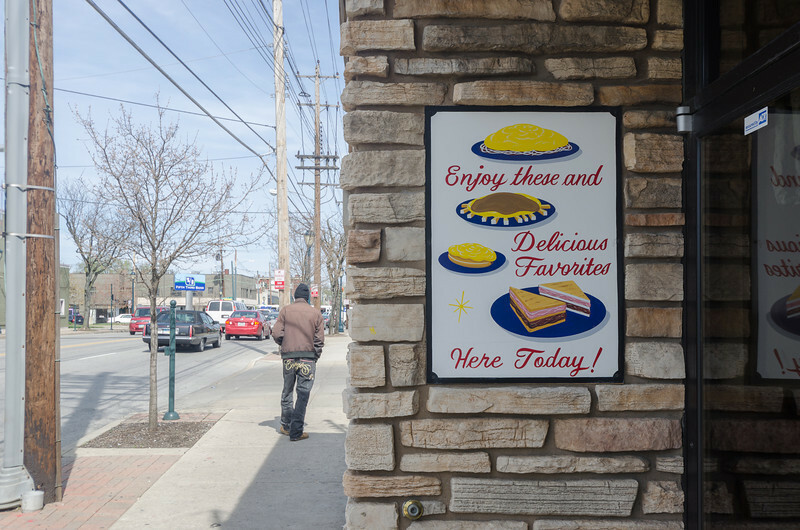 The two big chains are Skyline (better) and Gold Star (not bad in an emergency) but there are numerous independent places around town such as Pleasant Ridge Chili and Blue Ash Chili that have been around for decades. The above shot is nothing fancy. I loved the neon sign above the restaurant but there were too many wires in the way and such. This one is better -- you have a great old drawing of chili, an actual person and a small taste of Montgomery Avenue. Check out my SmugMug page for more pics, prints and licensing. The above photo is ©Steve Hymon and may not be used without my advanced written permission. All rights reserved.